We talked to organization, shopping and back-to-school experts to bring you the best advice on getting the stuff you need and using it to help you make the most of the new school year. Check out the guide below for tried and true tips and advice, plus some suggestions on scoring a bargain or two. Step one when it comes to all stuff you need for back to school is to get out there and shop for it. But if you put a little effort into how you shop, you’ll come out with better stuff and more money in the end. 1. Always shop at home first. See what’s left over from last year or what you can find in a parent’s office before you buy more stuff you may already have on hand. 2. Bargains! Pay attention to the tax-free weeks in your community and try to avoid buying anything that’s not on sale. Visit dollar stores for extra savings, and hit warehouse stores with a friend to buy in bulk and split costs, or stock up for the whole year. 3. Don’t be afraid of coupons. Newspapers often have coupons for extra savings (yes, you may have to actually go offline!) and of course, especially if you’re shopping for clothes, you can often do a web search for the store you want and ‘discount code’ and at the very least get a deal on shipping. Finally, for expensive items like graphing calculators, don’t be afraid to use Craigslist or Ebay (don’t give out more personal information than necessary, and always get a parent’s permission) to score deals. Often items are brand new or barely used and you can get great prices. 1. 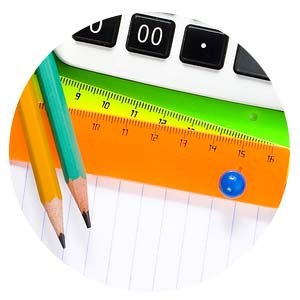 Laura Lawrence suggests using a teacher’s planner with a spot for each subject. 2. 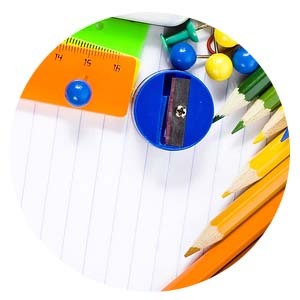 Michelle Poteet suggests using a pencil case with a three-ring binder on it so you always have pens, pencils, erasers and other supplies at the ready. 3. Finally, Eileen Roth of www.EverythingInItsPlace.net advises, “don’t be afraid to color code.” Using a green notebook for science (which probably also matches the cover of your book), can be a reminder of what you need to bring for any given class. Roth also suggests buying notebooks with plastic covers which will last longer that paper covers that undergo more wear and tear, and that you’ll probably be able to reuse each year. Finally, as every professional organizer would agree, a label-maker can be your best friend when gearing up for a new school year. We’ve all seen those pens that are made of processed corn products and are so biodegradable, but there are other green school supplies out there, so why not use them? 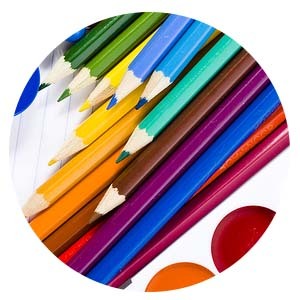 One great resource is The Ultimate Green Store which sells eco-friendly pens, pencils, paper, bento boxes (perfect for bringing your lunch!). 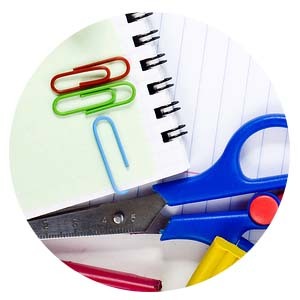 Which is not to say you have to visit a specialized website for such things — even the biggest big box store sell recycled paper notebooks and other supplies, often at the same price as not so green items. So when given a choice to help save the planet, do it. Finally, will all the money spent around back to school shopping, retailers are anxious to give you a way to give back in the process. It’s a great marketing tool for them, and it really does help others, so why not? Most places that sell school supplies will have a drop box this time of year for people to donate supplies as they shop, so go ahead and pick up an extra pack of pens for a kid in need. However, there are ways to do a bit more. A good place to shop in general is at a site called www.goodshop.com. Up to 30 percent of your purchases in some cases go back to charity, and you can choose the cause you’d like to support before you buy. Finally, if you want to get involved in a bigger way, we like www.kidsinneed.net, an organization that finds kids in need and helps them out with school supplies. You can give money, supplies or even volunteer with them. These are amazing ideas thanks internet!!!!!! I love Channel One news and I think all the ideas you give to kids can make a impact on their life I now you made one on my life! I think that these shows are good, but don’t provide much information when explaining.